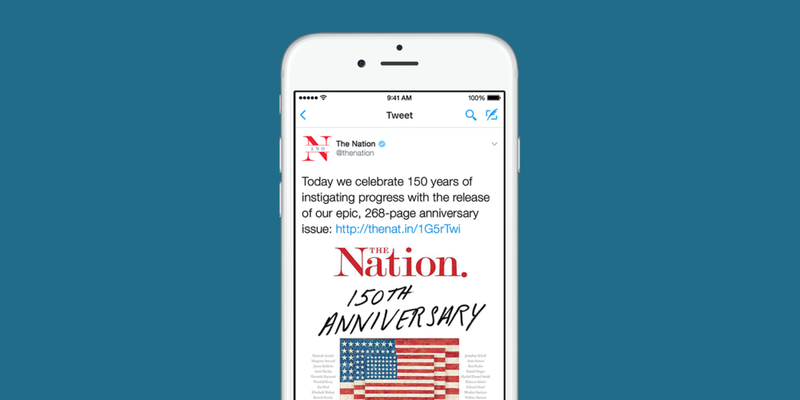 2015 marked the 150 year anniversary of one of America's oldest publications, The Nation. Utilizing the existing logo, we developed a 150 year anniversary mark that has been applied to numerous print and digital channels. The mark is classic and patriotic celebrating The Nation's rich history. 2015 marked the 150 year anniversary of one of America's oldest publications, The Nation. Utilizing the existing logo, we developed a 150 year anniversary mark that was applied to numerous print and digital channels. The mark is classic and patriotic celebrating The Nation's rich history.